Arrival at Trivandrum Airport and transfer to Kovalam, on arrival check into Hotel. Evening enjoy at Kovalam Beach. 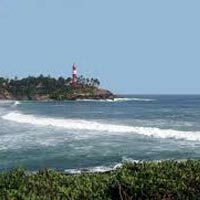 Overnight stay in Kovalam. After breakfast proceed for sightseeing of Trivandrum - visit Sri.Padmanabhaswamy, Napier Museum, Sri.Chitra Art Gallery, Zoo, Kuthiramalika Palace and Veli Lagoon. Overnight stay in Kovalam. After early breakfast check out from Resort and drive to Kanyakumari, en-route visit Padmanabhaswamy Palace and Suchithram Temple, on arrival check into Hotel. 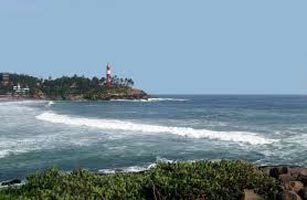 Afternoon proceed for sightseeing of Kanyakumari - visit Devi Kanyakumari Temple, Vivekananda Rock, Triveni Sangam and Gandhidham. Evening watch the most beautiful sunset. Overnight stay in Kanyakumari.